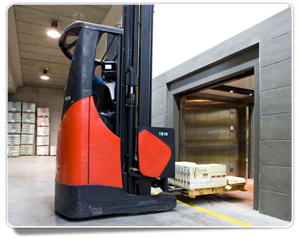 Unlike passenger lifts, these lifts operate at considerably reduced speeds. Recommended speeds range from 15 to 25 meters per minute(50 to 80 ft. per minute). Higher speeds increase the running costs. 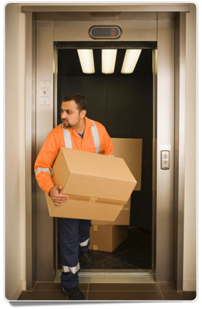 The control system in these types of lifts is usually of the semi-automatic type, or is fully steering. 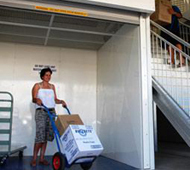 The lift-car is designed to withstand the heaviest load traffic. 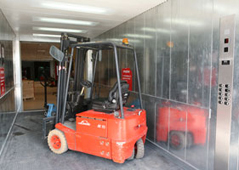 Suitable protection at the entrance is given according to requirements. This ranges from swing type, 6 total gates and M. S. Channeling for Auto Doors. 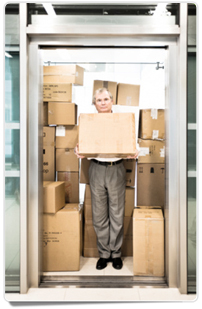 All safety gears, required under the Indian Factory Act, are provided in the lifts. 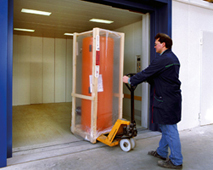 The recently introduced Two Speed telescopic type gates, working with electric door operators can also be provided. 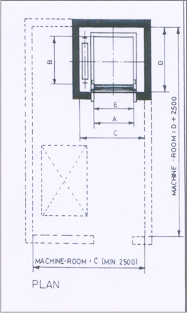 The width of the machine-room shall be equal to the lift well width 'c' subject to a minimum of 2500 m.m. 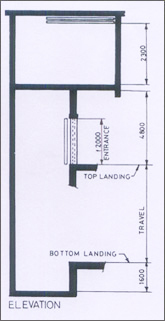 The total headroom has been calculated on the basis of a car height of 2.2 m.
Clear entrance width 'e' is based on vertical lifting car-door and vertical bi- parting landing doors for collapsible mid - bar doors the clear entrance width will be reduced by 200 m,m (maximum 1800 mm).